All parents feel like they are failing from time to time. Sometimes when parents feel like they are overwhelmed with the stress of life and have children who are reacting in negative ways, it can be tough for them to be tolerant and having more . Children are always going to scream and have meltdowns. 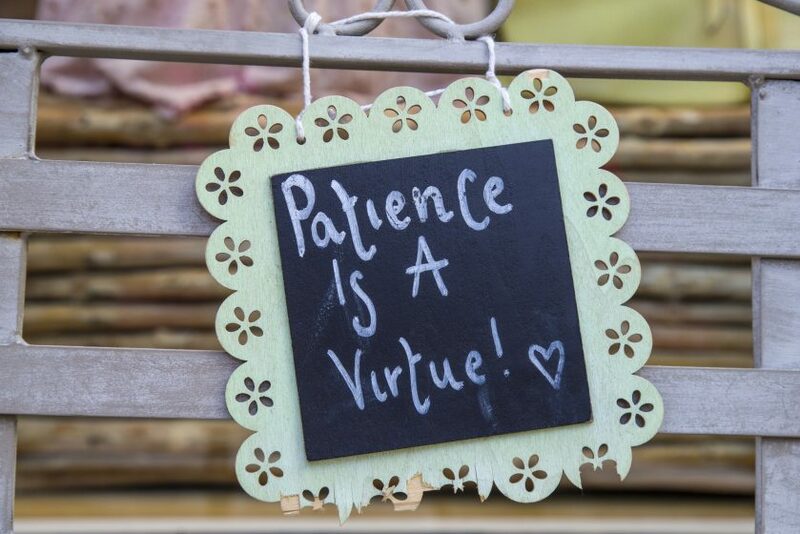 There are five things that you can do to be able to be a more patient parent. All parents are going to lose their patients from time to time. It can be difficult for them to be able to become more patient overall. Many parents are with their children all of the time. They end up getting upset, and because they cannot step away and regroup, they are not able to handle themselves patiently. To be a more patient parent, it is a great idea to learn how to take a timeout. If your child does something that upsets you, take a minute to walk away and regroup. During this time you can focus on the things that you are going to do and how you will handle the situation. It takes 30 minutes to calm yourself about becoming angry so ask your other half to watch the children while you take a bath or sit and read a book for a while. When you start to get frustrated, it can be easy to lose all patience. Instead of allowing that to take over, look at the situation and step back. Count to ten while you regroup and then go back in and work to find the right solution. This is going to help you to make sure that you are not reacting to you think through a problem. It will help you to be more patient and calm with your child. If your child does not allow for you to count to ten, lock yourself in a bedroom or bathroom for a few moments to regroup. You are only one person. So there is a good chance that you will fail sometimes. You are not going to be patient with your child all of the time. So make sure that you allow yourself to get over the mistakes that you make. Realize that you are only human and that from time to time you are going to struggle with things. When you have a young child, you have to realize that they do not care if someone thinks negatively of them for screaming in the supermarket. This means that when your child is crying and acting out that you should look at the bigger picture and realize that the real problem might have nothing to do with you and more to do with your child just showing their frustration. Children cannot be reasonable all of the time and are likely to be unreasonable most of the time. While it is hard not to snap when your children are overly demanding or not behaving, you will benefit from practicing being more patient. Rehearse going through different situations that you will be faced with and practice handling them more patiently. Doing all of these things will help you to become a more patient parent who is going to benefit both you and your children. Okay, so today’s question is: Do I have any tips to help you be more patient with your children? It’s hard to be patient with those little guys, they can be lots of fun, but lots of crazy too. So, first we got to really think about what is patience, where does it come from. When you’re chill and you’re patient, it’s because you’re calm on the inside. And, so, what it really takes is to make sure you are taking care of yourself, to make sure that you are doing what it takes to keep your center, to find your zero on a scale from zero to ten, to really bring yourself back so that your insides are feeling calm and grounded and peaceful. And I know that’s a little hard to do, especially when it’s chaotic, but at those times it’s the most important to prioritize yourself. I can’t stress that enough. It’s very important to take care of yourself. And, so, what are some suggestions, one, make sure you’re getting enough sleep, first of all. The idea of being patient is very difficult when you’re exhausted. I mean we have no inner strength when we’re just shot. So, it’s really important to try to get as much sleep as you can. Make sure you’re getting enough sleep ’cause being patient is not gonna be very easy if you’re exhausted. Number two is meditation, and I know I say it all the time, and I’m gonna keep saying it because I really do believe it’s very important. Meditation is the practice of centering yourself. We sit there in meditation and our mind wanders and then we just come back. And then our mind wanders, and then we come back. And then our mind wanders, and then we come back. What we’re doing is we’re building the muscle to bring ourselves to our peaceful, centered state. And, so, when we can build that muscle and those quiet moments, we’re stronger at being able to stay there, when we’re amidst the chaos of our lives. Make sure you’re getting a release, make sure you’re taking care of your body. If you feel gross, it affects everything. The idea of being centered again and being calm has everything to do with how you feel within. Okay, number four is gonna be expectations. You can’t expect more of these kids then is reasonable. So, if you if you expect them to do things, you’re always gonna be frustrated when they’re not actually living up to the expectations. So it’s really important to keep those expectations in check. And it’s not just with your kids. It’s with people in life in general. If you have expectations of people are always gonna live up to your standards, you’re always gonna be frustrated and you’re not gonna be patient. It’s important to realize that we’re all human, we all make mistakes, sometime we’re clueless. It’s important to really know that we’re all just bouncing around trying our best, and sometimes we know better, and sometimes we don’t. And so, lastly, expectations was the last one, and then, lastly is just to remember that you are a role model and kids are going to follow in your footsteps. So, whatever it is that you do, not what you say, is what it is that they’re gonna mimic. So if you’re calm, and you’re cool, and you’re not fearful, and you’re easygoing, they’re going to feel that. It’s all contagious, your feelings are contagious, so the more that you focus on really centering yourself, and grounding yourself, the more that they will be calm, and centered, and grounded too, because, energetically, they’re affected by you, and their energy will shift by being in your presence. So it’s not about what you’re saying, it’s really about who you’re being. I could probably count on one hand the amount of time she raised her voice to us. So, it really does say something, and then, now I meditate because I watched that, not because she told me to, but because I learned. So it’s very important to realize that you are a role model. So taking care of yourself, valuing your own well-being, taking care of your exercise, your sleep, your eating, all these things, everything that you do they’re watching. So be your best self and take care of yourself, because that’s gonna be the best thing you can do for your children. All right, hopefully that was helpful..